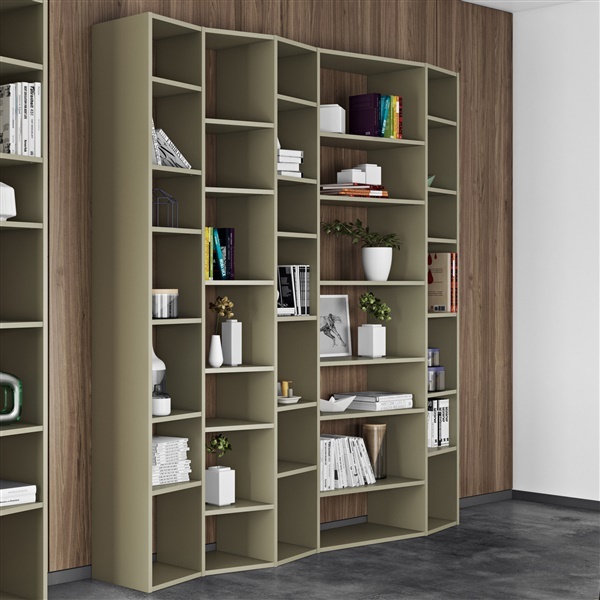 Unlike traditional bookcases, the Valsa Composition 2012-005 from Tema Home blends style and functionality beautifully. This bookcase ensures you can optimize your storage space for antiques, books and other items. Plus, it features a distinct design that allows the bookcase to serve as the centerpiece of any room's decor. When it comes to maximizing your storage space, you can reap the benefits of a stylish, well-constructed bookcase -- the Valsa Composition 2012-005.